ORC Hot, Warm and Regular temperature classes are not a set series of yoga postures taught in a sequence. 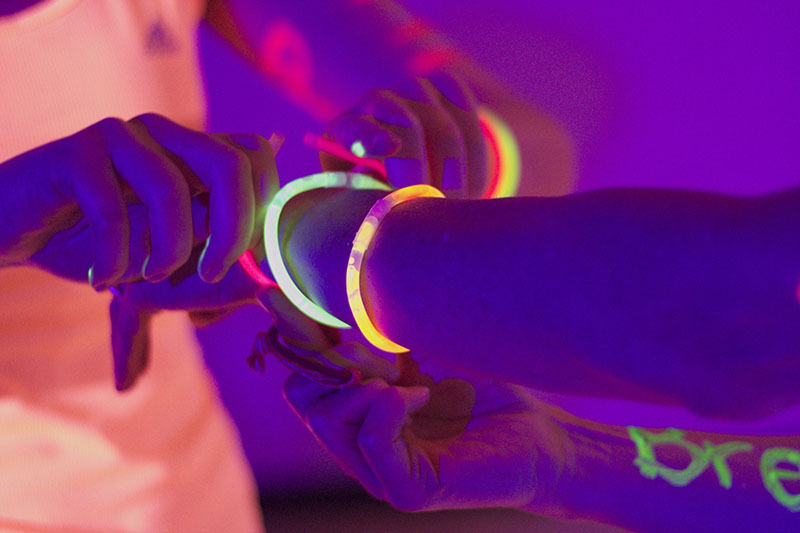 Our qualified and creative instructors are given the freedom to create unique experiences each time our members come to class. Extra Charge to Attend Yoga and Hot Yoga Classes. They're Included with Your ORC Membership! Serene, Calming, Dedicated Hot Studio to House ORC's Warm Yoga and Hot Yoga Classes. Or More Varieties of Yoga Classes, Taught By Qualified Instructors, For Unique Needs and Skill Levels. Yoga can be found at regular temperatures on our ORC Group Fitness Schedule. Looking for Hot Yoga? That can of course be found on our Hot Yoga Schedule. Yoga can be of benefit to just about everyone, from tip-top athletes to chair-bound desk jockeys. It's a great option for anyone looking to gain flexibility and strength, or for those who want to reduce stress and achieve better relaxation. Hot Yoga is your yoga practice done in a heated room maintained at a temperature of 96 to 100 degrees Fahrenheit. Peak performance occurs when fully warmed up. The temperature of the yoga room is similar to that of your own body, accelerating the many benefits of your yoga practice. Muscles and connective tissues become more elastic, allowing for greater flexibility with less chance of injury. You'll see incredible benefits from our creative, unique yoga classes. Best of all - these classes are included with your ORC Membership at no extra cost. All of the following classes are part of ORC's Group Fitness Schedule. Members may attend all of these at no extra cost. This yoga class will put you in touch with your body and breathing. 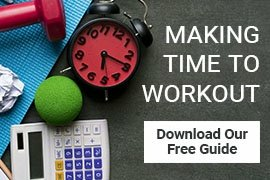 Increase energy and reduce stress through gentle stretching, strengthening and balancing postures with breathing techniques and meditative techniques. These classes will be taught in a non-heated room; temperature between 70 and 74 degrees. An excellent complement to any fitness routine, which is also a gentle way of approaching exercise after an illness or years of inactivity. The “inside out” approach to the exercise is an important component of relaxation therapy and beneficial to those who lead very busy lives or want their yoga practice on a more individual level. Seasonal - An uplifting blend of spiritual and physical practices. Kundalini Yoga incorporates movement, dynamic breathing techniques, meditation, and the chanting of mantras. Experience yourself deeply and notice a transformation towards physical strength, heightened awareness, mental clarity, and happiness. 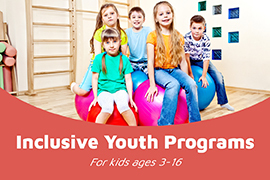 This class is for those who regularly participate in sports or activities which cause shortening of the muscles. This is an essential part of any training schedule. Lengthening your muscles takes the stress off the supportive tissue and joints while the core work enables the athlete to support and stabilize. This class provides a compassionate, non-competitive environment for beginners or those seeking a gentle practice to balance out a busy lifestyle. Yoga asanas (postures) are combined with mindful movement using breathing techniques. Postures are taught while addressing proper alignment, breathing and modifications. This class integrates breath and movement. 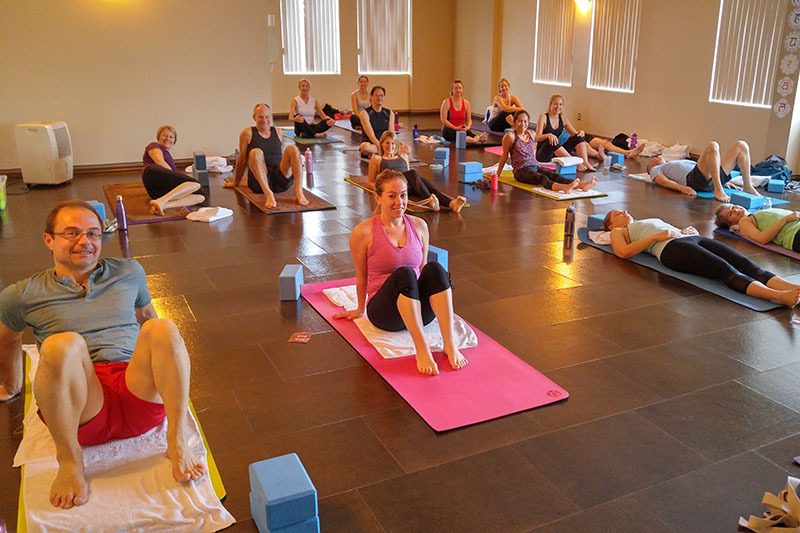 Each instructor brings their own individual style based on personal practice and training, drawing from a vast variety of yoga postures to create a fun, challenging, opening yoga experience. You will build strength, stamina and flexibility, often done to music. Seasonal - This is a gentle flowing class with an emphasis on being mindful in each posture, helping you deal with life’s everyday stresses. The focus is on paying attention in the present moment, developing a deeper sense of self-awareness. This will help give you the ability to recognize and navigate emotions and actions. A dynamic linking of rhythmic breathing and flowing yoga poses known as Vinyasa. When practiced properly, heat is created deep within our core to purify the body. Heat allows us to get into postures deeply and effectively − with swift and distinct benefits. Bring your yoga practice to the next level. Good things flow from a strong core. This class offers a combination of strength and flexibility, focusing on breathing and balance in a traditional yoga style, while concentrating on power from the centre of the body. A strong core means more than flat abdominals - flexibility, endurance and a toned body. You will stand taller, look leaner, and feel healthier. 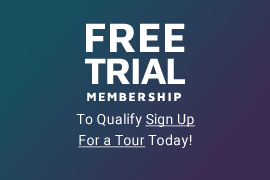 Take a tour of ORC and you're eligible for a complimentary trial membership.